Instant Pot Brown Rice is the best way to cook rice! It’s easy and fast and takes the guesswork out of making rice. Use this easy rice recipe for your meal prep! I know, it even seems silly to me that I’m posting this brown rice recipe. I mean…really? It’s rice. Do we need a blog post for that? Short answer: yes we do. Because after searching all over the internet for how to make rice in an instant pot I decided that it really is a thing people want to know. So…here you go. As I said before, meal prep is the way I’m (trying) to do life right now. It’s keeping me on track with eating healthier lunches and making dinner. Because I cannot live on protein and veggies alone (you Whole 30/Keto people are my heroes) I decided that learning how to make the perfect rice would make a good addition to my meals. It’s a healthier carb, whole grain, and makes me feel like I’m eating something more than just chicken and vegetables. Growing up and into my early adult life we had rice cookers. My mom made the best sticky rice in that rice cooker – I can still taste it covered with cheddar cheese – but I remember trying to make brown rice in the thing early in married life and it didn’t work. I also remember trying to make brown rice on the stove once and we ended up eating crunchy rice for dinner. At that point I gave up and started using minute rice or those little microwaveable packets of rice instead. And really, those are fine. But homemade rice is a whole different deal; it tastes SO MUCH better. Once I got my instant pot I decided to try doing rice again. After all, the new electric pressure cookers double as rice makers, so I figured it would be easy. It’s so easy to make Instant Pot Brown Rice. 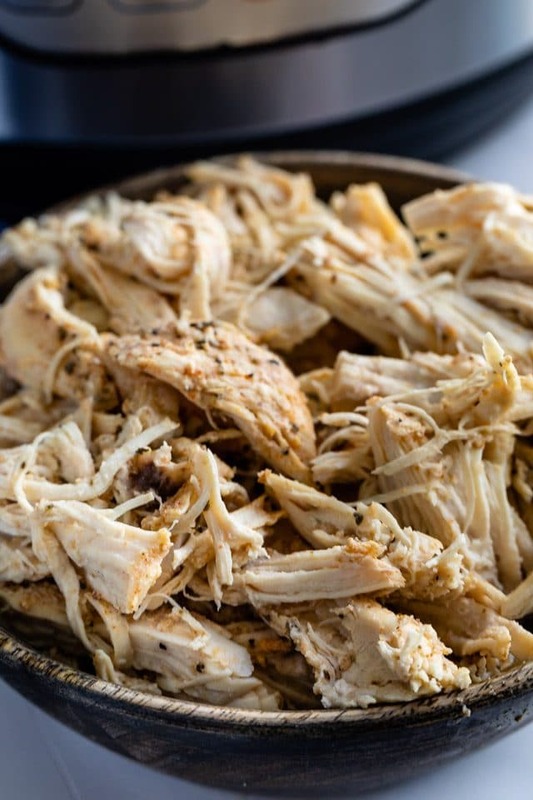 Make a big batch and use it all week for meal planning! I love to add this rice to salads or use it as a side dish or even add it to one pot meals. I make a big batch on Sunday and use it all week! How do you make brown rice in the Instant Pot? It’s absurdly simple and I’m still questing myself for posting this as an actual recipe. 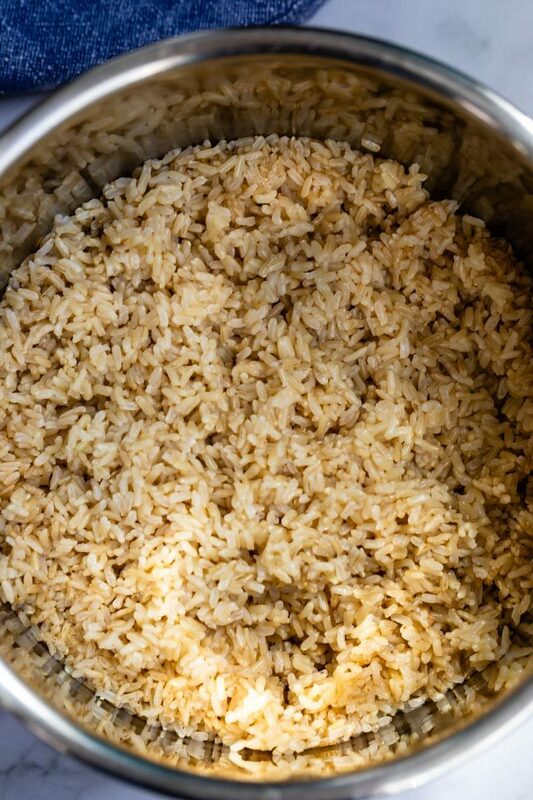 The ratio of rice to liquid is important: 2 cups of brown rice to 2 1/2 cups of liquid. 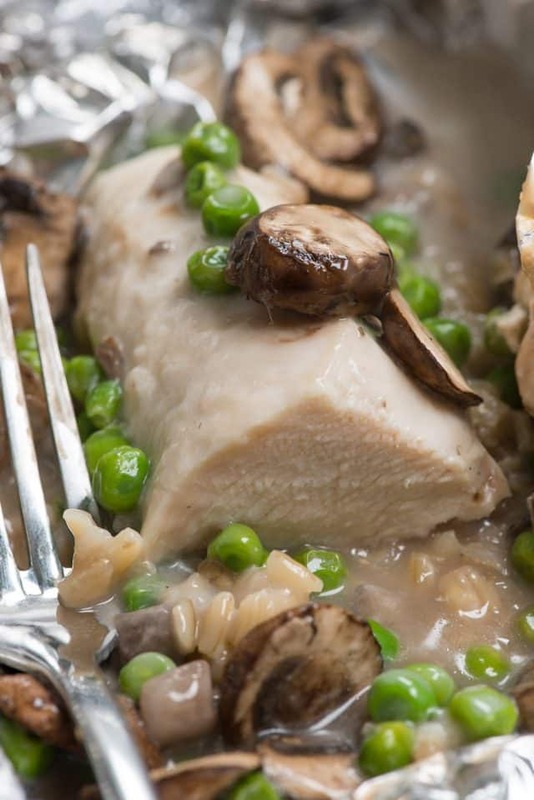 Use broth or stock (chicken, beef, or vegetable) for best flavor. You’ll find times varied all over the internet for how long to cook it. I cook my rice on high in the Instant Pot for 22 minutes. Season it! Add some salt (and even other seasonings, if you want) to give the rice flavor as it cooks. I make this on a weekend and portion it for all week. With this one recipe I made Enchilada Skillets, Chicken Fried Rice, and had more leftover to add to salads throughout the week. Add it to my One Pot Taco Skillet. 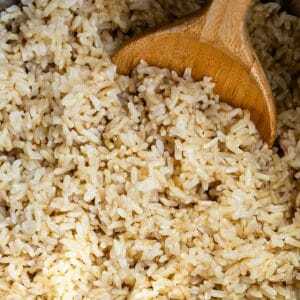 Instant Pot Brown Rice is the best way to cook rice! It's easy and fast and takes the guesswork out of making rice. Use this easy rice recipe for your meal prep! Place rice, stock, and salt in the liner of the instant pot. Place lid on the pot and lock into place. Make sure the valve is set to closed. Once it comes to pressure, the clock will start for the 22 minutes. When it's done, do a 10 minute natural release. After 10 minutes use a kitchen utensil to open the valve to let any remaining steam out. Fluff rice with fork. Store in refrigerator for up to 3 days in a sealed container. Perfect for meal prep!